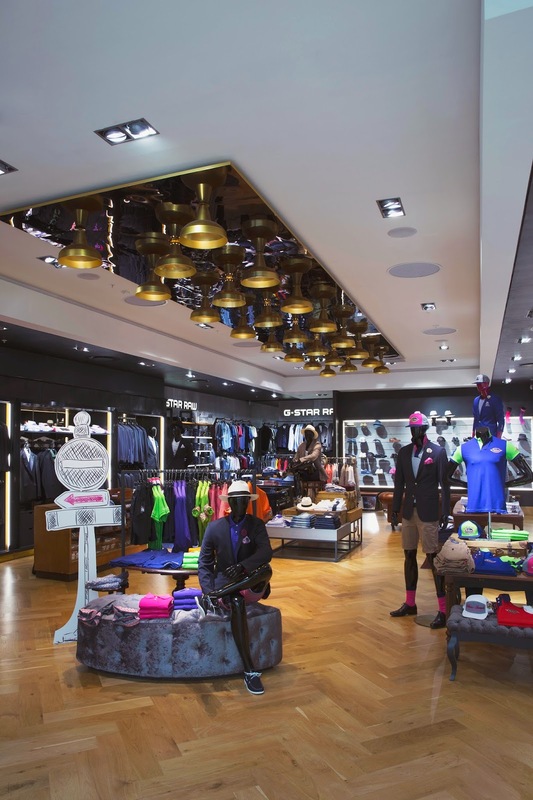 The newly renovated Fabiani store in Canal Walk is a warm, luxurious and sensory space. You can browse beautifully curated formal and weekend wear as well as accessories that celebrate the brand’s dedication to colour, quality and that unexpected pop. The store is strategically positioned in amongst leading lifestyle brands such as Tasha’s and Nespresso. 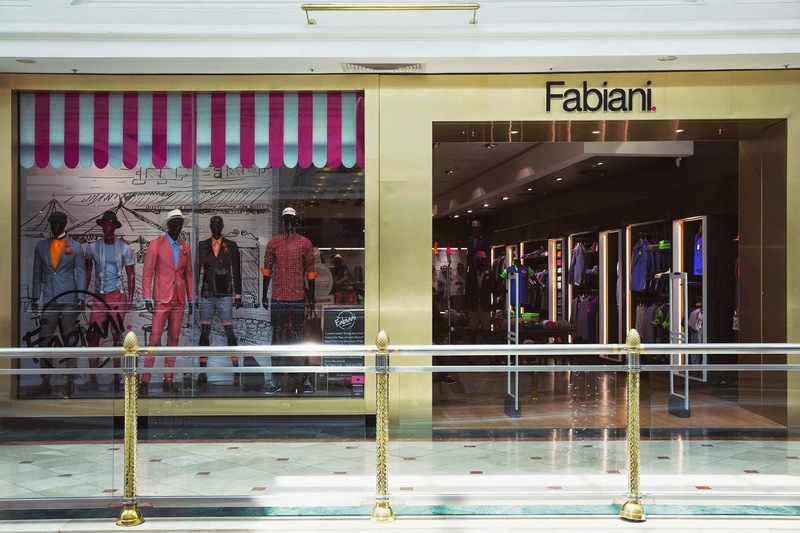 The Fabiani store in Canal Walk also prides itself on being one of Fabiani’s premier retail destinations. One enters through signature brass arches that compliment expansive brass framed windows capturing glamorous scenes from black tie affairs to Café moments. Upon entry you are greeted with authentic herringbone wooden flooring while vibrant music sets the tone and the fresh scent of COMME des GARÇONS Amazingreen fills the air. A glass of rich and multi-layered Chivas 18 touches your lips, the finest fabrics glide across fingertips and the eye is drawn to distinctive Fabiani detailing thoughtfully placed throughout the space. The spacious changing area boasts luxury deep button fitting room doors for a pop of fun with a tailors mirror and an iconic heritage wall celebrating Style Since 1978. Original Fabiani stores, campaign faces and members of the iconic team wallpaper the space, taking you back in time to the soul of the brand. A bold new design feature, in the form of an expansive and impactful media wall, completes the sensory experience, streaming the latest Fabiani fashion show, seasonal campaign and exclusive behind the scenes footage. 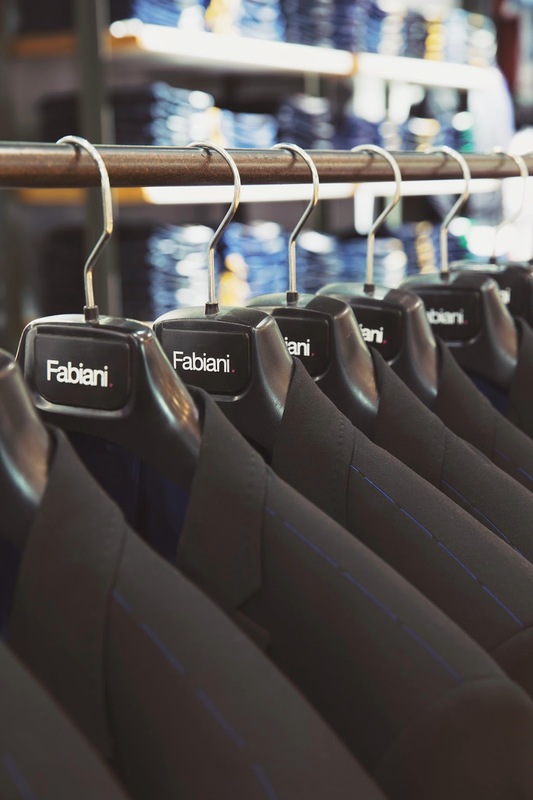 Fabiani stands apart by continuously refining the personalised service for which it has been renowned for over three decades. Great attention is paid to the customer shopping experience with luxurious complimentary touches such as beautifully wrapped parcels, complimentary same day tailoring and shirts freshly steamed and placed inside Fabiani travel bags upon purchase. Completing the customer journey, a warm and attentive fashion consultant walks you to the door with your purchase, shaking your hand and thanking you for your custom. 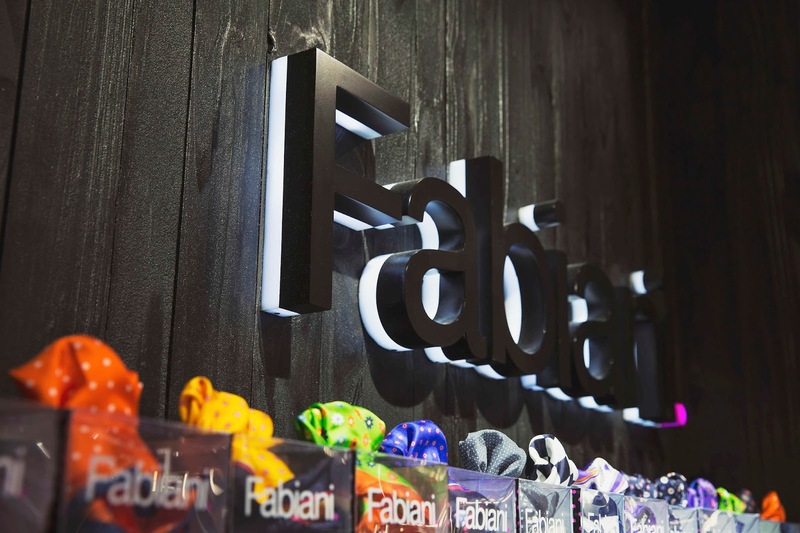 Fabiani is renowned for tactical and strategic visual merchandising. Currently showcasing the summer 2014 collection entitled ‘The Fabiani Café’ and with coffee culture in vogue internationally, the brand takes consumers on a journey into the world of Café society. Fresh and vibrant summer colours are showcased that celebrate the brand’s iconic unexpected pop that never fails to allure and entice. A clear seasonal strategy sees the visual merchandising changing every six weeks to ensure a steady release of fashion trends and visual journeys. The Canal Walk store presents the full product portfolio from the summer 2014 collection including elegant formal wear, stylish weekend wear, handmade Italian shoes and signature accessories that add a touch of eccentric humour such as cufflinks, pocket squares and this season’s must-have – a Fabiani flower lapel pin. Slim fit chinos in cotton stretch twill sit alongside tailored blazers and bold golfers emblazoned with iconic Italian insignia are paired with Fabiani denim. Narrow leg trousers allow for a glimpse of ankles with overstated cuffed hems that show off the finest burnished leather monk straps. Tailored blazers and vibrant polo’s sporting iconic Italian insignia sit alongside Cotton and Linen jackets that showcase textured stripes and ginghams with striking red and cobalt blue lining. The famous Fabiani slim fit wool stretch suit caters for both traditional purists and fashionable innovators. To compliment the Fabiani collection a carefully curated assortment of international brands are available in-store. 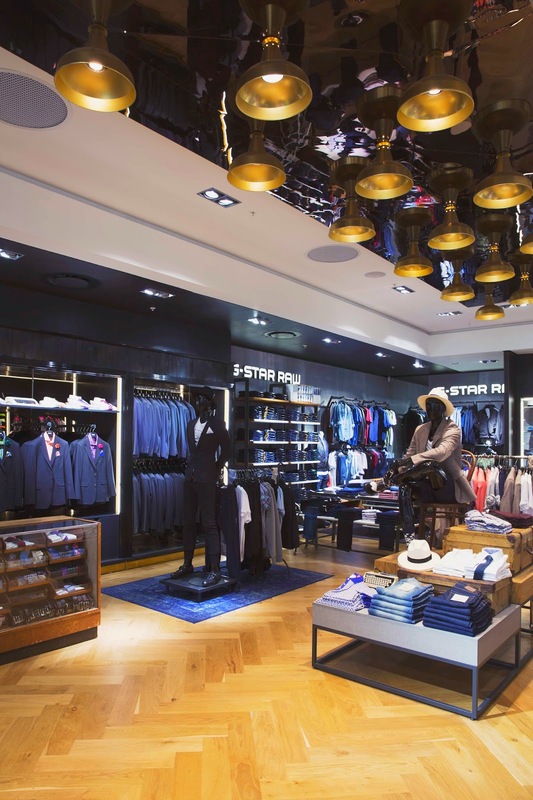 These include items from the G-Star RAW Collection and Denim located into a specially designated space, socks and underwear by Swedish brand Happy Socks and a fragrance collection by COMME des GARÇONS.